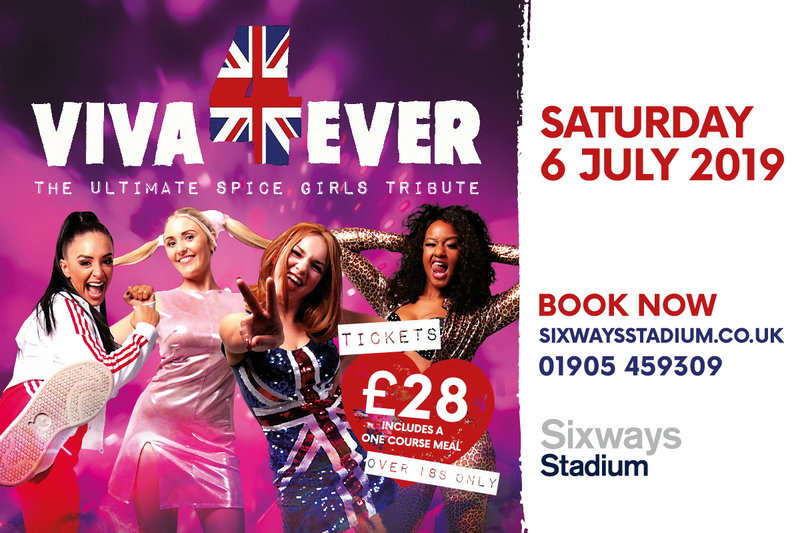 Sixways will be hosting a Spice Girls Tribute Night on Saturday 6 July. Featuring four amazing singers and dancers, stunning costumes and professionally choreographed dance routines, Viva 4 Ever will be performing a fantastic tribute to one of the biggest girl bands of all time. Spice Girls were formed in 1994 and shot to fame when they went straight to number one in the charts with their debut hit Wannabe. The band went on to enjoy nine UK number one singles and held the Christmas number one spot for three consecutive years. So if you’re craving Too Much entertainment this summer, Stop what you’re doing right now and get ready to Spice Up Your Life. Even If U Can’t Dance, grab your Mama and Say You’ll Be There for an evening of 90s fun with the UK’s leading Spice Girls tribute act. The Tribute Night gets underway at 7pm. Tickets cost £28 and include a one-course meal. Over 18s only. To book your place click here, email events@warriors.co.uk or call 01905 459309. Please show you are not a robot. © 2019 Sixways Conferencing Venue. To find out more about how Sixways Stadium can work with you, please get in touch using the form below or alternatively call us now.